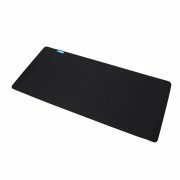 The MM300 is a high endurance, pro-grade cloth mouse mat for high-DPI gaming mice. Reinforced stitched edges guard against surface peeling, and the optimized textile-weaved surface design gives superior control and precision tracking for absolutely lethal in-game accuracy. With multiple sizes available, from small to extended, the MM300 has just the right size to fit your needs.